For those out there, and there are likely more than a few of you, who think small business runs on coffee, you’re about to get a big triple shot of new utility with the Starbucks For Android app. 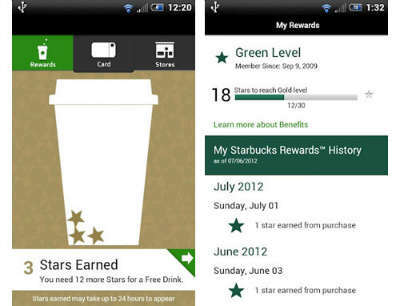 Starbucks For Android is a great way to get hands on all that great Starbucks coffee many long for. Not only can you pay for your coffee with the app itself, but you can also reload your Starbucks Card, track Stars and even find Starbucks locations, with plenty of other features in the offing besides. But the recent update puts even more power in that terrific power source in the form of extra utility. The recent update not only brings the app to Canada and the UK alike, allowing those countries to get in on the sweet joy that is paying for coffee via smartphone or tablet, but also gives United States users a shot of their own in the form of Paypal support. While many companies are alternating between cautious optimism and frenzied expansion in terms of accepting mobile payments, it’s quite clear that Starbucks isn’t waiting for the picture to sort itself out, and that’s enough to leave a potential mandate for small businesses. 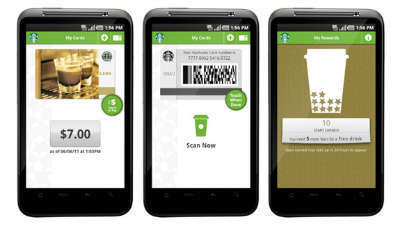 While offering mobile payment support may be a smart idea, Starbucks is taking it to its ultimate extreme by not only offering their own, which they operate in-house, but also offering such important retailer features as barcode reading and a loyalty program, which often does a good job of encouraging repeat business. Naturally, businesses don’t just run on Starbucks. And while Starbucks’ app also does a fine job of showing just what it is small businesses can do to put a fire under their own operations, cloud-based telephony options like local numbers and toll-free numbers will go a long way in helping those customers get in touch with your business, and that will be the best help of all. The Starbucks app will do wonders in terms of filling you with caffeine, and also showing you how to run a business’ mobile program. Since it’s useful as both an object lesson and a practical model, it’s hard to turn away from that kind of opportunity.